In Q4 of 2017, CNN ran an interesting report titled, ‘Russia Eyes Cryptocurrency Dominance’. 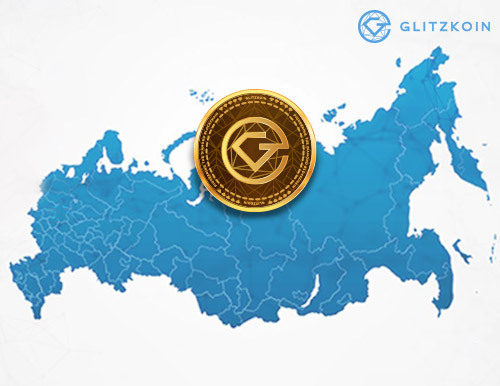 The report mentioned how gentlemen close to the government, were working on startups that would ultimately put Russia on the crypto world map. It mentioned that Dimitry Marinichev who was President Putin’s trusted internet ombudsman, had set up a full fledged crypto mining station in what was formerly an assembling and manufacturing plant for Russian cars. While the CNN report on Russia and the crypto currency, drew attention to a few more projects that were lined up, there was something quite interesting about the legality of digital money. As most of us are already aware, crypto currency is deployed over blockchain. At this point of time, you cannot think of crypto currencies without blockchain technology. Technology never ceases to surprise and alarm so, the future is anybody’s guess. The Central Bank of Russia, seemed to be out of tune with the rest of the CNN report. Apparently the bank issued a ‘warning’ that, handling crypto based transactions that involved anonymity, could get the participants into serious trouble. More specifically, such transactions could attract legal inspection on issues like, terror funding and money laundering. This seems a bit confusing because, decentralization and anonymity happen to be the cornerstones of blockchain technology. The news in Q2 of 2018 revealed a more cohesive effort from the Russians. The government had generally approved a proposed cryptocurrency law that, sought to monitor specific crypto currency transactions. Referred to as the Bill On Digital Financial Assets, the move did see some criticism but, was surely a step in the right direction. The seriousness of the Russian government can be gauged from the fact that, one of the drafters of this bill was none other than, Anatoly Aksakov head of the Russian Parliament’s Financial Market Committee. The bill needs to be edited and adjusted on a number of issues, so we should see the effort as a continuing process. The finance ministry was looking to levy taxes and fees on crypto trading. This because, existing laws did not cover digitial assets and currencies. Experts point out that while, exchanges will be mandatorily required to report transactions worth around 10,000 USD, there might still be a need to include further controls on crypto exchanges. In recent times, we did see a move by the Australian government that required, all crypto exchanges to be registered with specific authorities. The Australian move was more about reigning in money laundering and the financing of terrorism. The Russians clearly do not want to be left behind in the crypto race. At the same time there are some whispers about, the conventional banking system being controlled by the US and EU. The Americans even blamed the Russians for supporting the Venezuelan government effort to implement the ‘petro’, a digital currency. Apparently, both nations were keen on sidetracking, international sanctions by conducting trade using cryptocurrency. We keep hearing that economics and politics make strange bedfellows, but apparently some world leaders can never stop trying.